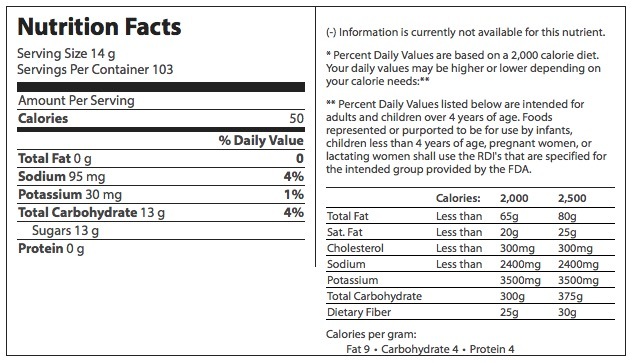 The label reads "Per 32 g (about 3 tbsp)", but if you read through the ingredients, the amount of carbohydrates listed exceed that of the serving size (33 g). 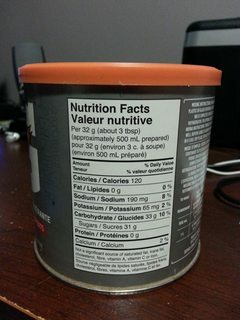 Is this depiction of the label accurate, and is the claim it makes true? Is the depiction of the label accurate? The "why" question is largely out of scope of the site. It seems likely to be simply a rounding or experimental error. So Canadians like heftier servings than USians. Perhaps the strange things about the Canadian label comes from an error converting the values from 14 g to 32 g? Not the answer you're looking for? Browse other questions tagged nutrition consumer-products nutritional-supplements . Do smaller albacore contain less mercury (by weight)?